Sandesh (8th STD) is 14 yrs old. He has no father, he has one elder sister living with his mother and his younger brother living in SASA. His mother does some household work to earn some money for her daily needs. She is in poor condition and inducted her son at SASA for educational purpose. 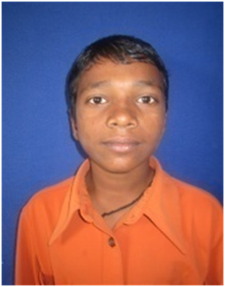 Sandesh is an active boy and interested in dance; he wants to become an engineer.